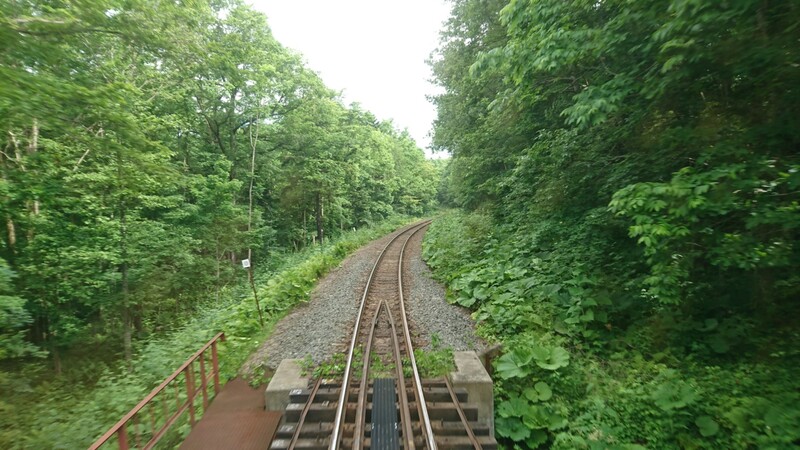 We were passing through pretty mountain forest, a pair of sika deer beside the track, when the stench of Hydrogen Sulphide filled the train. The source became apparent as we approached Kawayu Onsen. Mount Io was belching steam from its volcanic vent, like its namesake moon of Jupiter. Another amazing sight on this line!